Have old prints or family documents stored away in the closet in the spare bedroom? Often, we don’t look at these precious memories for years, only to pull them out of storage and realize that time has damaged them and faded the colors. 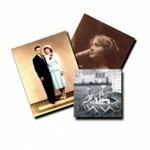 Bring your important photos and family papers into our store to have them scanned to preserve them for generations to come. (We also offer digital restoration services for heavily damaged items, please click here for that service.) 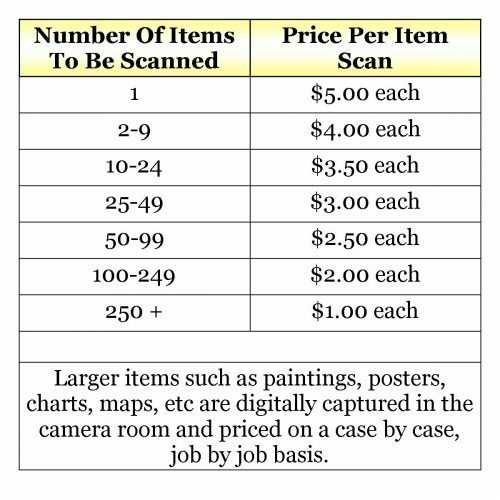 We can scan any image or document up to a 9″ x 12″ for the costs listed below. The more items you have to scan, the more you save! Call us today to discuss preserving your family or organization’s memories before they fade or become damaged beyond repairing!